You’re trying to refinance or purchase an apartment. On top of the equity you’ve contributed to the property, you’re on the hook for legal fees, a Phase I environmental report and a variety of insurance costs: title, fire, public liability and rental income. All of these costs have their own merit, but they are also non-negotiable for most lenders. One choice an apartment investor does have is whether to use mortgage loan insurance, predominately provided by Canada Mortgage and Housing Corporation (CMHC). CMHC mortgage loan insurance allows approved lenders to provide borrowers with competitive interest rates for the life of the mortgage and to reduce the investor’s renewal risk. The key attraction is that the competitive interest rates are significantly lower than similar conventional products. The insurance premium is paid at the origination of the loan and is valid for the entire amortization period, typically 25-30 years. Apartments are defined as five units or more and are subject to a different set of rules than single-family homes. Most people are familiar with CMHC from purchasing a home leading to several misconceptions as it relates to apartment financing. You cannot increase your equity portion above 20 per cent to avoid the insurance premium while still accessing the low interest rates. The minimum insurance premium is 1.75% of the loan amount and this is based on the loan being up to a maximum of 65% loan-to-value (LTV). Any amount below this will still incur the minimum insurance premium – which leads to the next misconception. The insurance premium is defined by the LTV of the underwritten value of the property, not the purchase or market price. The underwritten value of the property is typically lower than the market value, so an insurance premium based on 85% LTV might only be 75% of the purchase price. I wrote an article on this topic that highlights the different leverage levels in different markets. Is the insurance premium worth it? Let’s do some math. As an example, let’s assume you have an apartment building worth $2,000,000. A CMHC-insured mortgage would typically allow for a maximum loan amount of $1,500,000 and be based on 85% of the underwritten value. The insurance premium at this leverage is 4.50% of the loan amount or $67,500. The interest rate is priced from the Canada Mortgage Bond and if set today, the rate on this loan would be approximately 2.58% for a five-year term. A comparable conventional offering would be in the range of 3.75% – 4.25%. The interest savings of the insured mortgage versus the conventional mortgage is $73,000 – $103,000 over the five-year term. In other words, it would take only 3-4.5 years to recoup the amount paid for an insurance premium that gives a borrower access to lower interest rates for the full amortization period (25 years, in this example). The effect on the internal rate of return (IRR) is significant. If your $2,000,000 apartment generated a static 5% cap rate for the entire five-year term of the mortgage, an IRR of 7.02% – 8.25% would be achieved with the conventional mortgage. The insured option would yield an IRR of 10.55% if you amortized the premium expense over the life of the mortgage. There are several other advantages to the insurance premium. It is payable at the time of funding, but it can be added to your mortgage amount and amortized over the life of the loan. When financing via CMHC insurance, an appraisal is not required for buildings with more than seven units and a building condition assessment is not required in the vast majority of cases. If longer security is your objective, a 10-year term is readily available through mortgage insurance but this can be difficult to locate conventionally. One other cost savings that was not included in the payback period calculations above is lender fees. You could expect to pay 0.50%-1.25% ($7,500 – $18,750) in fees for a conventional mortgage, far higher than the $3,000 associated with an insured loan. There is a reason the majority of apartments are financed through mortgage insurance and I’ve covered some of the key points in this article. It is, of course, not ideal for every candidate. If the investment objective is based around a short holding period, CMHC is a poor choice as the minimum term is five years with either no prepayment rights or large penalties. If the property needs to be re-positioned or stabilized, a conventional option would be best as the maximum loan amount will be restricted. Insured mortgages are best suited to stable assets for a buy-and-hold strategy as the benefits accrue over time. 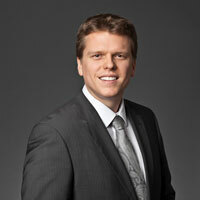 Adam Powadiuk is a Business Development Manager with First National Financial, Canada’s largest non-bank lender. He is active in most markets in the country with a focus on investment real estate. All feedback is welcome and he can be reached at adam.powadiuk@firstnational.ca.